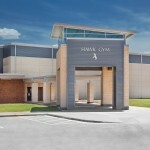 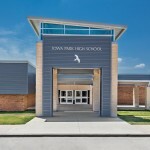 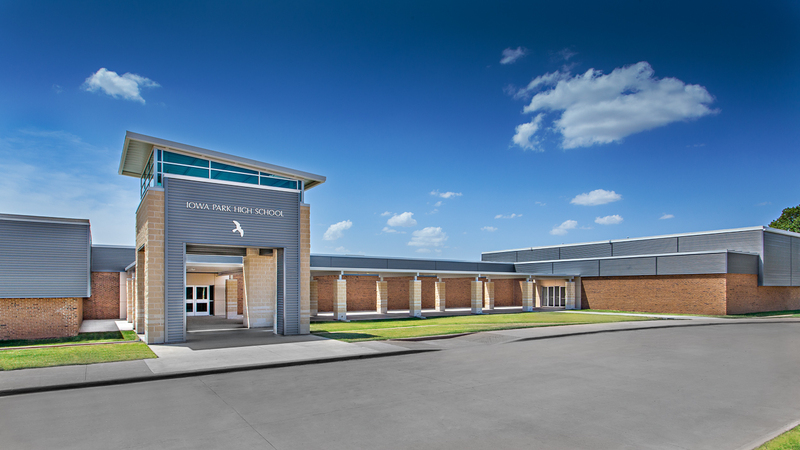 SLA provided the design for the Iowa Park Consolidated Independent School District. 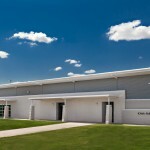 This Bond Package was divided into two major areas of work. 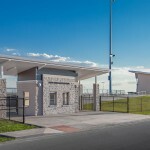 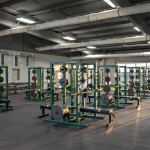 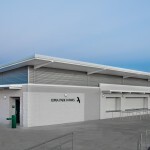 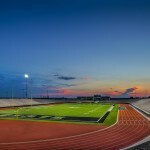 The first was the complete renovation of the Athletic Complex. 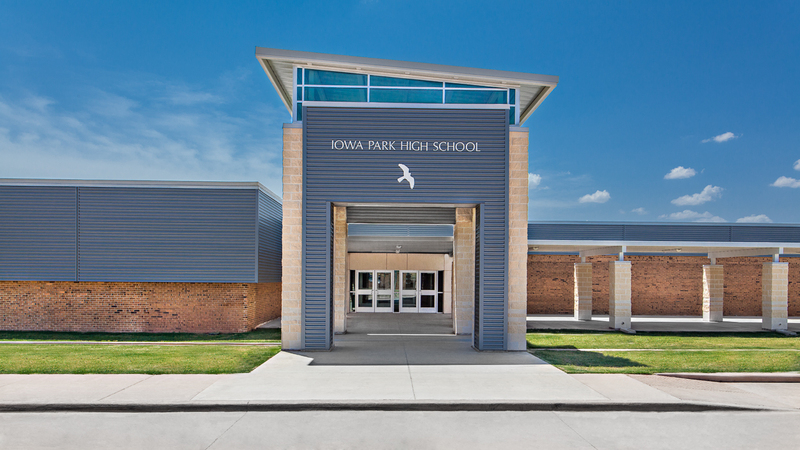 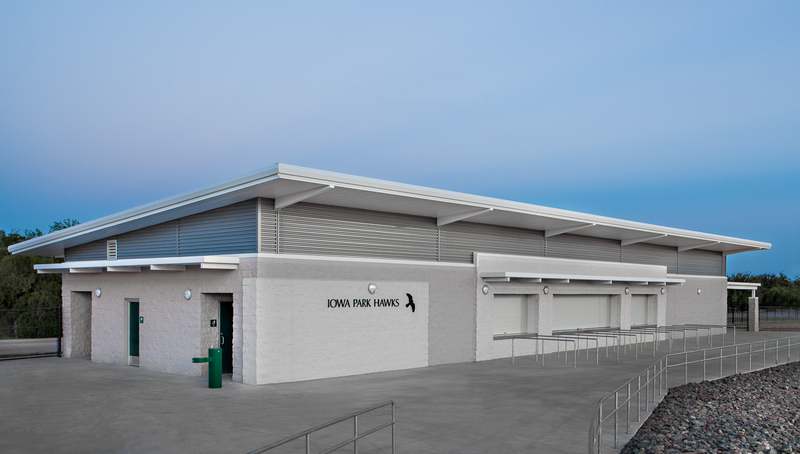 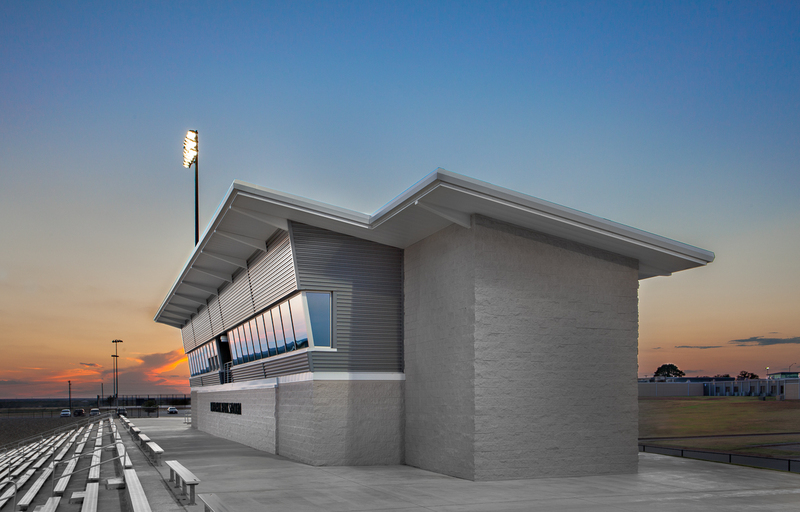 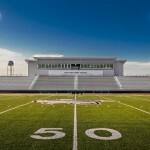 Built in the early 1970’s, the existing Hawk Stadium and Athletic Complex is a source of pride for the citizens of Iowa Park. 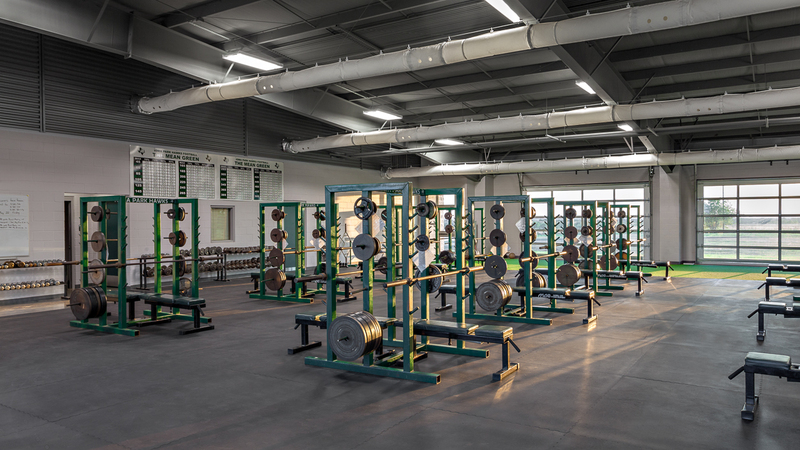 Facilities were updated to modern standards while providing an improved image and function for the long term future. 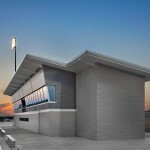 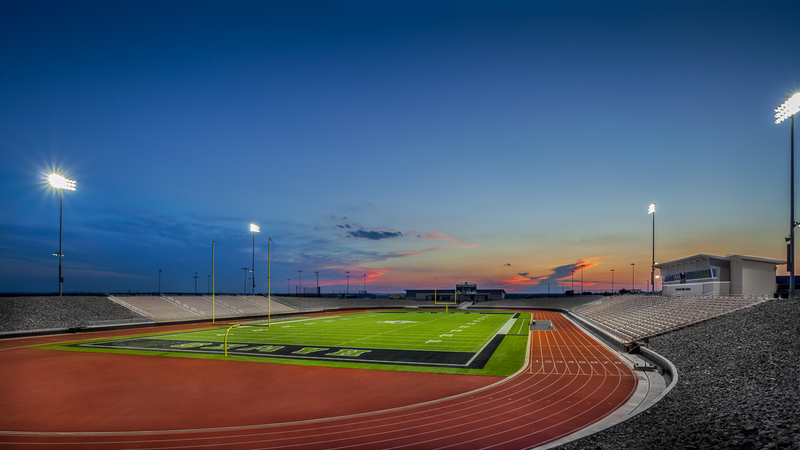 The project includes new stadium bleacher seating, stadium athletic turf, 8 lane competition track, field lighting, press box, restroom/concession building, 14,000sf field house, and a concession/restroom building for the baseball/softball complex. 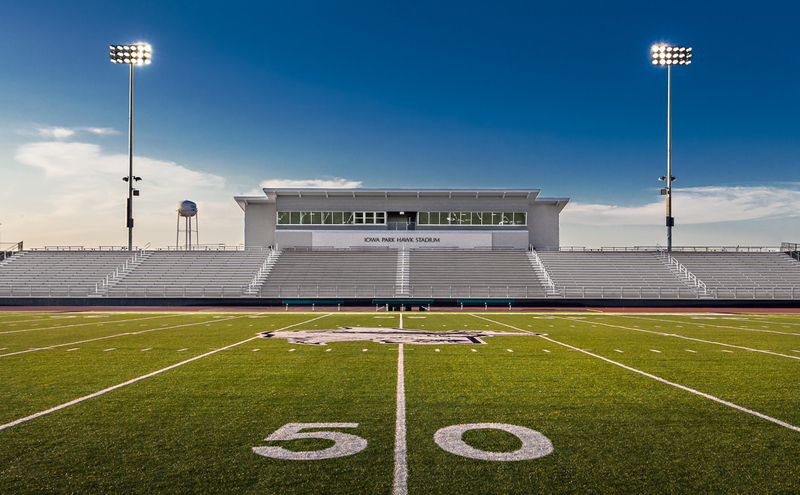 The football stadium was completed prior to the 2014 football season. 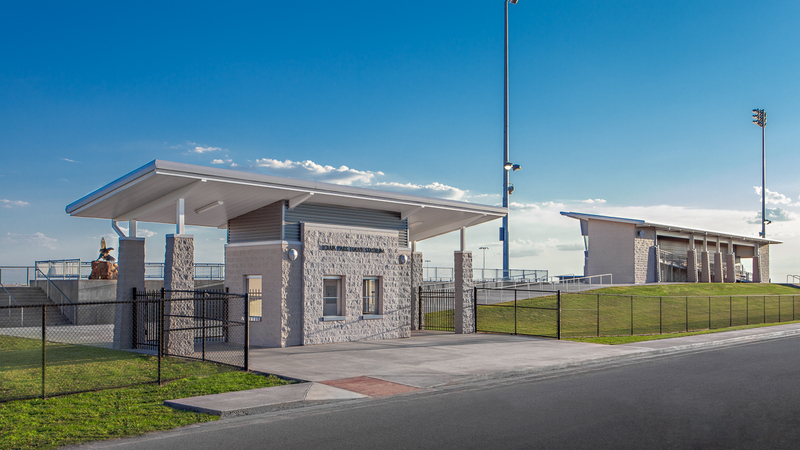 The second area of work was the exterior renovation of the main high school campus which ties the main building and several existing additions together to make a cohesive design and provide an improved image for the future. 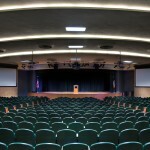 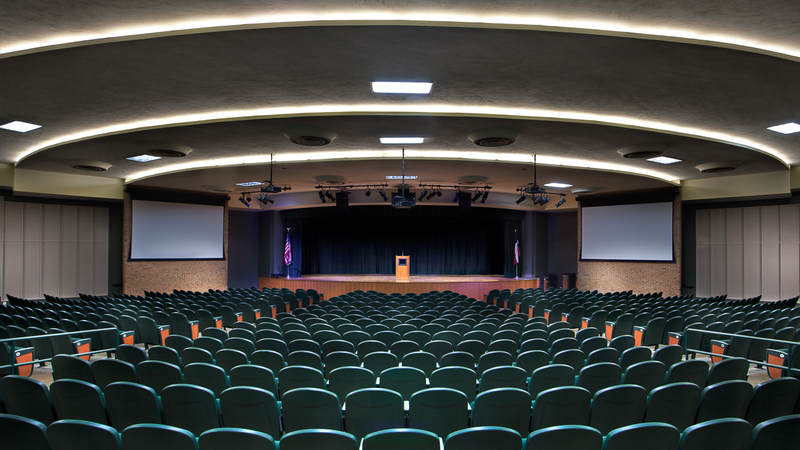 The auditorium was also renovated to provide the school with an up-to-date space with new sound and visual equipment. 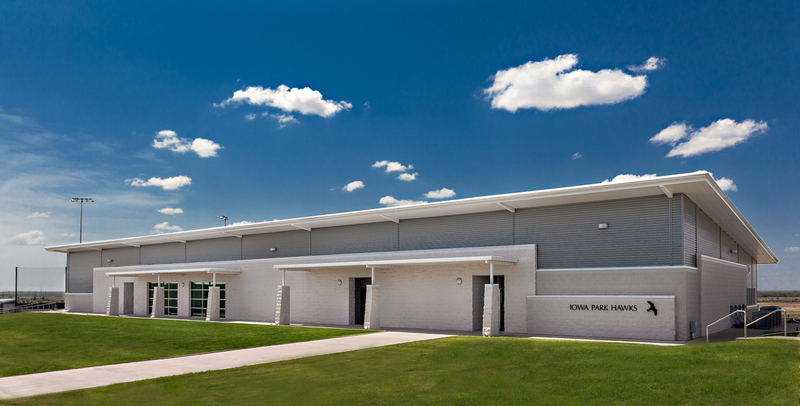 This Bond Election is part of the District’s long term facilities plan. 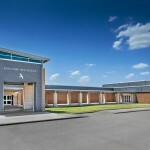 The next phase will include the construction of a new high school and renovation of the interior of the existing high school to serve as the new home for the Middle School. 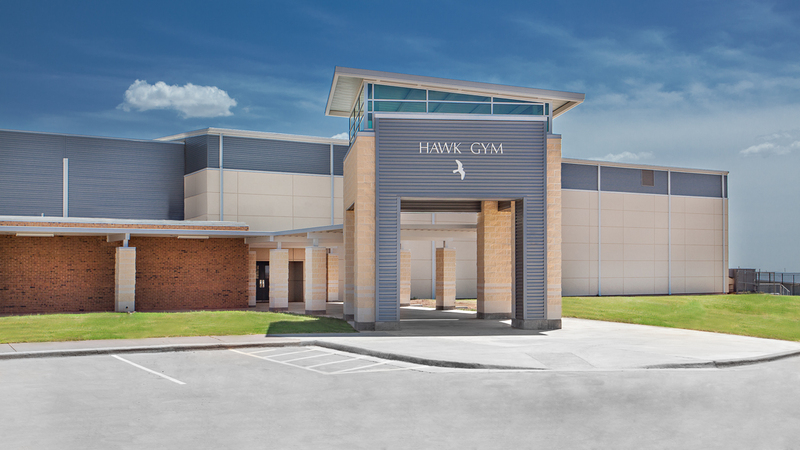 The Bond Package Estimate was $14.7 million.